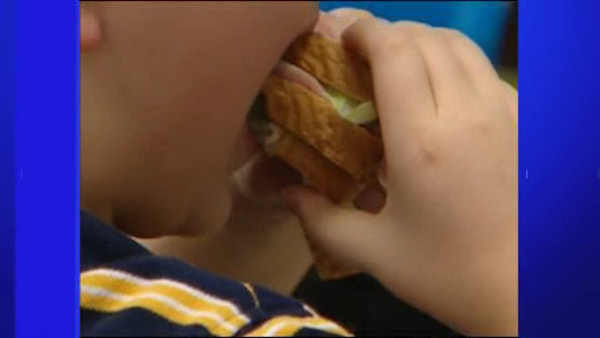 NEW YORK (WABC) -- Advertisements for junk food snacks will soon be banned from public school cafeterias across the country. The USDA says schools can no longer advertise foods that are not approved to be sold under healthy snack guidelines. Officials say up to 70 percent of American students see ads on school vending machines for junk food, including soda and sugary sweets, and research showed that kids tend to eat more after seeing ads for unhealthy food. The change is part of the final version of the rules that require schools to sell nutritional snacks, in addition to healthy breakfasts and lunches. Snacks can't have too many calories or too much sodium, fat or sugar, according to the guidelines for schools.